The annual Doors Open Waterloo Region took place this past Saturday Sept. 15, 2018, giving residents of Waterloo a unique look into buildings with noteworthy architecture or history. This year, the event featured 34 sites which were opened to the community for the day — many of which would be otherwise closed to the public. “We try to have people think about the buildings they use everyday. Some of these buildings you can’t normally get inside, but somebody uses them,” said Karl Kessler, coordinator of Doors Open Waterloo Region. Kessler iterated that the main goal of Doors Open is to allow attendees to pause for a moment and appreciate the buildings, architecture and history that surrounds them. Martin Luther University College — formerly Waterloo Seminary — recently underwent a $90 million renovation. The renovated space was open as of this past September and officially changed their name this past summer. “We all use buildings, but we take them for granted… they’re like the air around us. They are our surroundings. But this is a chance to pause once a year and think about our built environment in a really deliberate way and have people interpret them,” Kessler said. Importantly, those giving tours and talks at each building or site as a part of Doors Open, was also given the opportunity to reflect on the heritage or significance of the building they work in every day. “It’s a chance for everyone to kind of stop and think about our buildings and how we use them and what makes them special,” Kessler said. Some of the more anticipated sites included Catalyst137 as well as Deloitte, both located in Kitchener. As well, the newly opened Idea Exchange library located in Cambridge was a place of curiosity to many participating in Doors Open. “It’s an 1885 post office that’s been redone into a fully digital library and I think, from what I’m hearing, they had a lot of visitors for Doors Open,” Kessler said. The newly opened Martin Luther University College on Wilfrid Laurier University’s own campus was also open to the public and saw approximately 250 visitors as part of the event. “They had a really good turnout. I think people are really curious about that renovation as well. 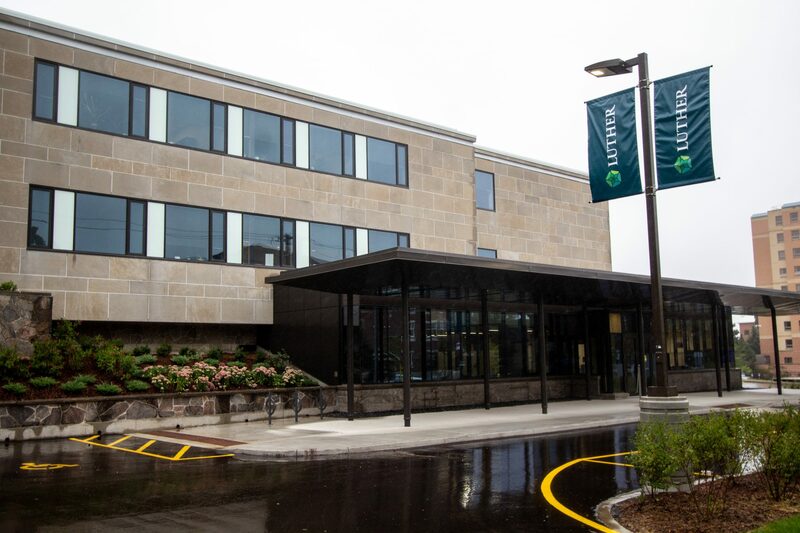 They did a beautiful renovation on the existing buildings, and very appropriately, renovated the inside in sync with the original design but brought it up to modern standards, they added lots of services there,” Kessler said. “They left as much alone as possible and it really feels like it’s the 1960s original building so I mean, they were appropriate in each part of it according to its architectural significance,” Kessler said.